Baba is a hairy man himself. He should not be criticizing hairy women. Feminazis fire away but there is something especially repulsive about leg hair pushed down by stockings. Baba has seen too much of that at his rural high school back in the old country. No respectable man should touch this broad with a six foot pole. Why is Baba judging Saveta by her hairy legs instead of her singing? She can have a voice of an angel but all Baba can see is matted fur pinned down by eastern European tights. 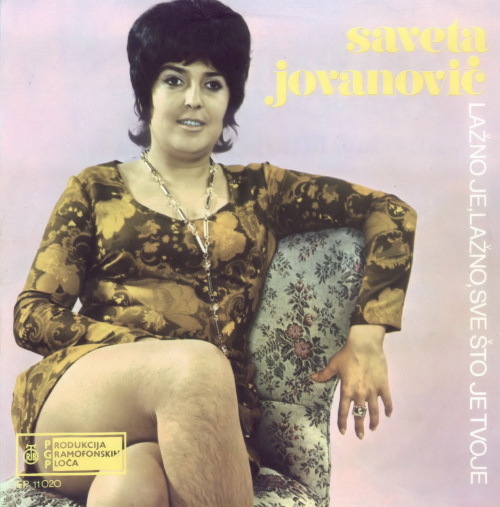 This entry was posted in Records and tagged hairy legs, Svetlana Jovanovic. Bookmark the permalink. 6 Responses to "Hairy Legs and All"
Well at least her complexian and facial features are refined..and,her legs are thick. (SO her hairy ness is attractive,aslong as the other features are good or beautiful>>? ).Her ankles are hard to see,though..
You guys are a bunch of weirdos. But I love you anyway.